What with Digital Media Marketing coming up quickly and at an unstoppable pace, the amount of people who are referring to the internet are also increasing, making it very important that there has to be good content on the website that you are making for your business. 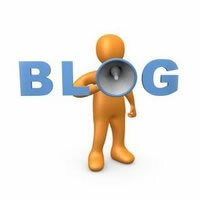 Now, nothing works as good as a blog and that is what makes the cash counters with the search engines ticking. Blogs, being the latest trend with the search engine marketing maestros, makes sure that there is genuine and quality content for the readers and the content is proving useful. 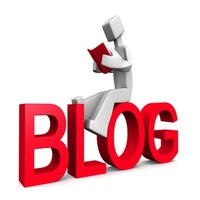 In a long run, the blogs related to your business are going to prove beneficial. Creating blogs and submitting them into online blog directories prove useful as blogs are one of those web properties that come up quickly in the search engine result pages. Blogs also bring direct traffic to your website. Only a strong, keyword rich content can make your blog come up and give you the placement on the search engine pages. Marketing your blog is a very important practice to ensure that your business related content is getting popular in your industry and market. People who are going to use your products or services need to know the current trend of business and blogs help do that. Blogs are interactive platforms where in not only is information regarding your business is available but also the readers can post their reviews and give any suggestions which can be considered. It establishes a one-to-one relation with the customers and readers. Interactive content always gives room for scrutiny which is enjoyable for both the parties. Blogs embedded with the company websites hold much more weight as they lead your customers directly to your website and give you quality back-links and your website gets very good popularity that is just what you need! Blogs need optimization to be done because there can be strange chances among algorithm refreshes and inappropriate keyword targeting that your blog crosses the boundary of your market and shows up on the search results of altogether different industrial searches. Blog Optimization can make sure that the right kind of industry reads gets your blog and that the blog shows up on the top ten searches. It becomes necessary that your blog is optimized appropriately to generate good leads. In most search engine results pages, blogs come up first after good websites. Blogs are nowadays giving tough competitions to websites as there are millions of easy blog templates available in the market and they make it easy making a blog. Blogs are now the latest rave among the digital marketing experts with a belief of majority turnover per year.